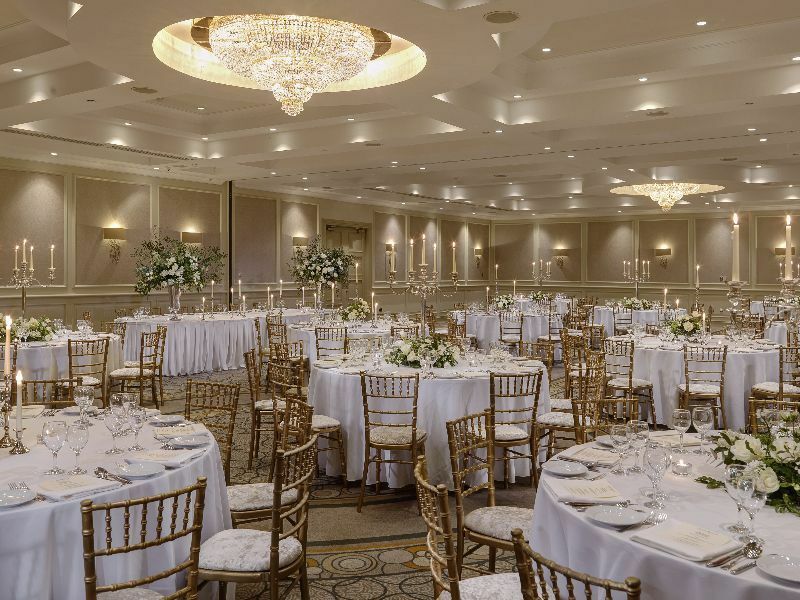 The five-star Druids Glen Hotel & Golf Resort is set in an idyllic location in the heart of Wicklow providing a beautiful backdrop for your wedding day. Our luxury wedding venue is just a thirty-minute drive from Dublin and fifteen minutes from the M50, allowing convenient access to Druids Glen. Whether an extravagant celebration in the hotel's elegant ballroom, an intimate gathering with friends, a civil ceremony or civil partnership, we have the package to suit all tastes. The attention is all yours, as it should be, as we cater for one wedding per day in the chandelier lit James Joyce Ballroom. Druids Glen Hotel & Golf Resort is fully licensed to host civil ceremonies and civil partnerships and has become a popular venue for those hosting a civil ceremony or civil partnership in Wicklow. You will be spoiled for choice with picturesque scenery for memorable photos and appetising menu choices of exceptional quality, delivered with a professional and friendly service which is second to none. For details on our wedding package or to request an appointment to view our facilities please contact our Wedding Co-ordinator Nessa Kearney on +353 1 287 0811 or nessa.kearney@druidsglenresort.com.